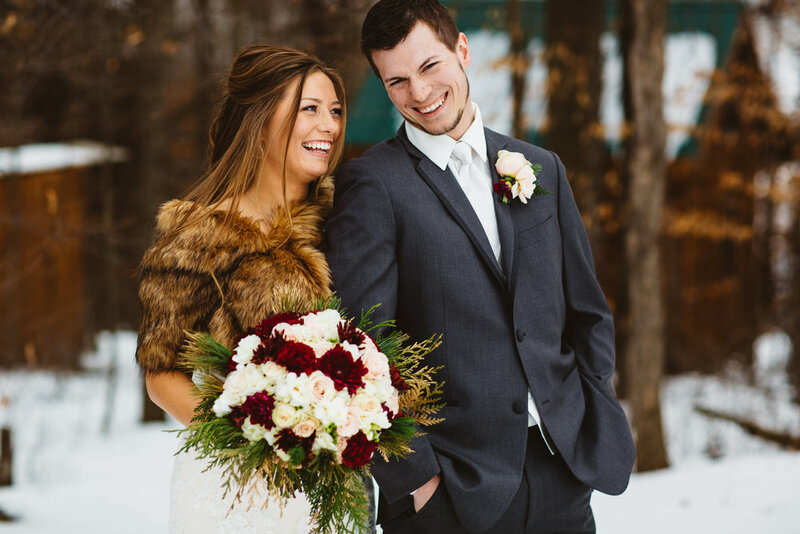 Celebrate your special wedding day indoors or out. 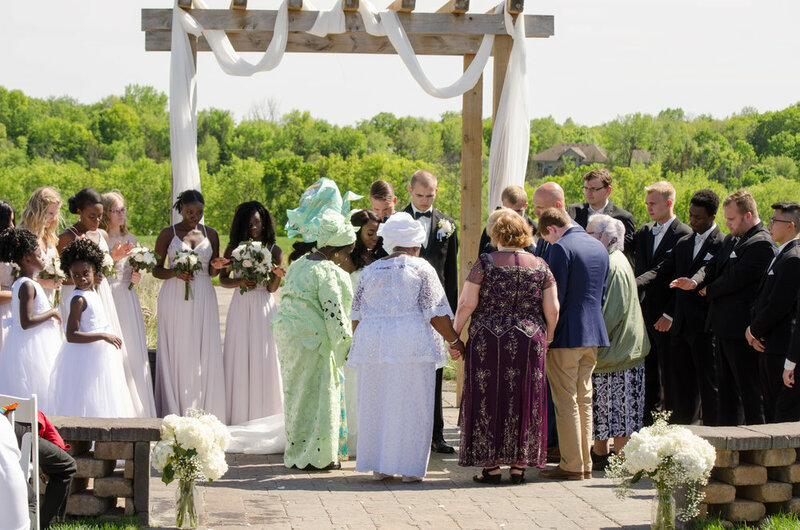 Choose the crisp, manicured green space ceremony option with traditional, white garden chairs or select our rustic, natural ceremony option held in a mowed field with wooden ceremony arbor, surrounded by natural tall grasses and wildflowers just beyond the timber shed. 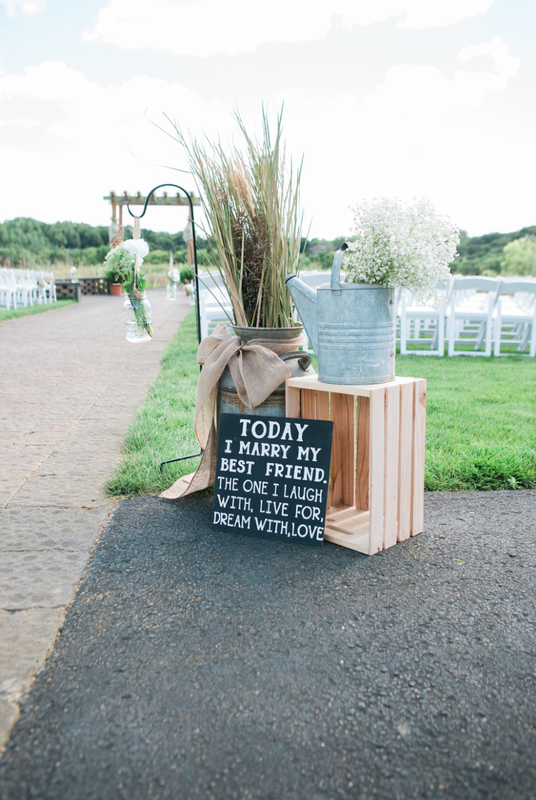 After your ceremony, enjoy moving freely about the outdoor space. Enjoy your social hour in the outdoor kitchen patio area. 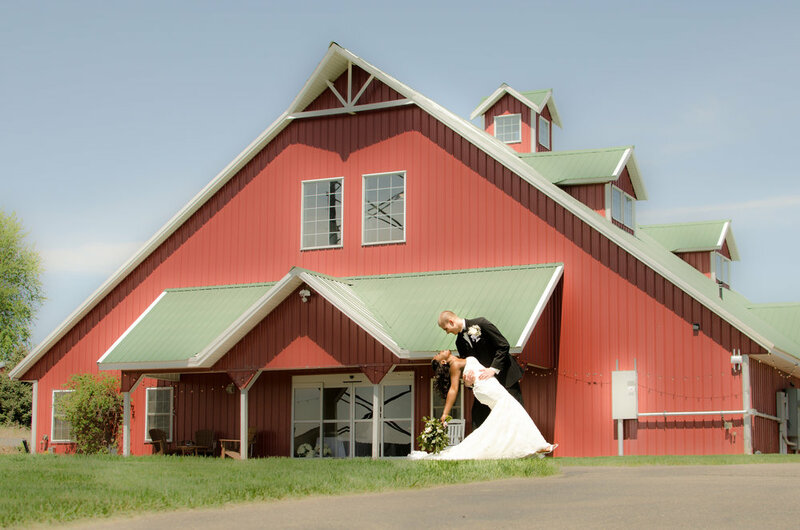 Your guests will enjoy the picturesque farm scenery as they are entertained while playing lawn games. The Outpost Center building houses the interior reception space that has a charming, warm, barn atmosphere with seating up to 299. The interior reception area is climate controlled, and available for weddings, receptions and other celebrations year round. 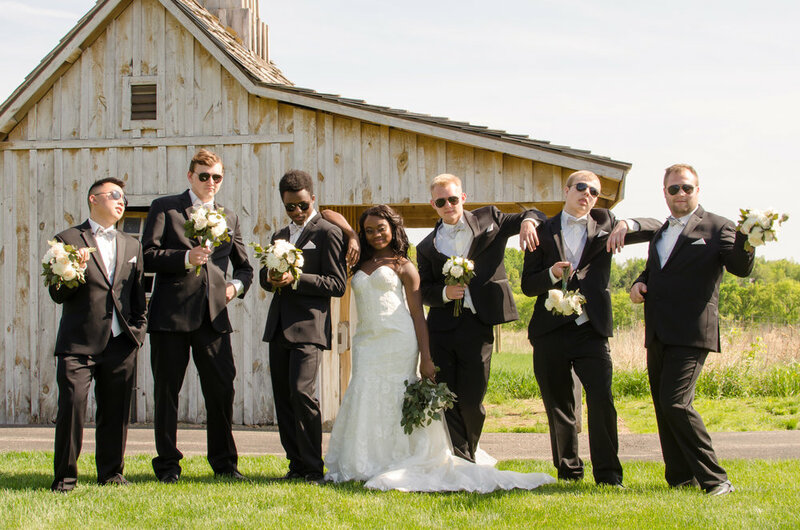 The interior of the building has 3 restrooms, a bridal ready lounge in the loft space, a room for the groomsmen and a kitchen for your licensed caterer. Your rental includes tables and white garden chairs. Thank you so so much for all your help last weekend! 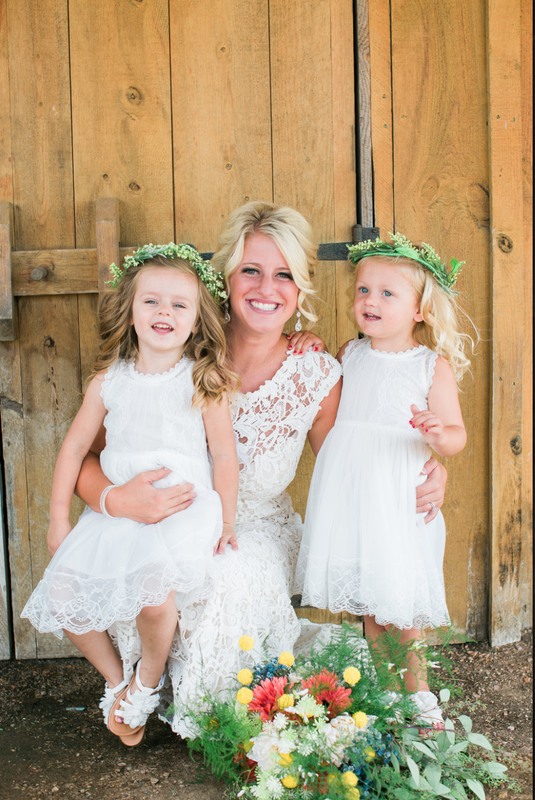 You were so great to work with throughout the entire process, which helped make wedding planning so much less stressful. Majority of panning is done through imagination, but getting to The Outpost and setting up, made my “imaginations” come to life - and so much more than I anticipated. The Outpost is beautiful, and I can’t tell you how many compliments I received in regards to the space. One guest actually told me that this was the most beautiful wedding location he had ever seen! He has been to 22 weddings within the last 3 years. 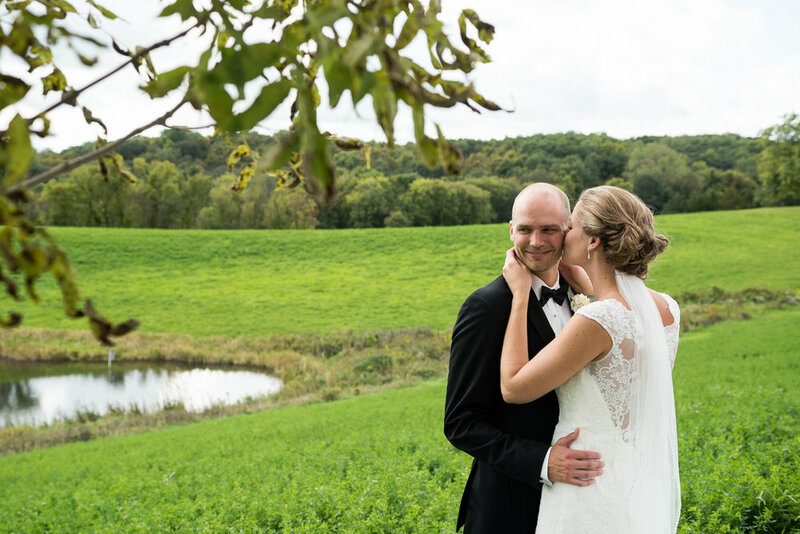 The view outside, the incredible grounds, and the details inside the barn all helped to create our dream day. 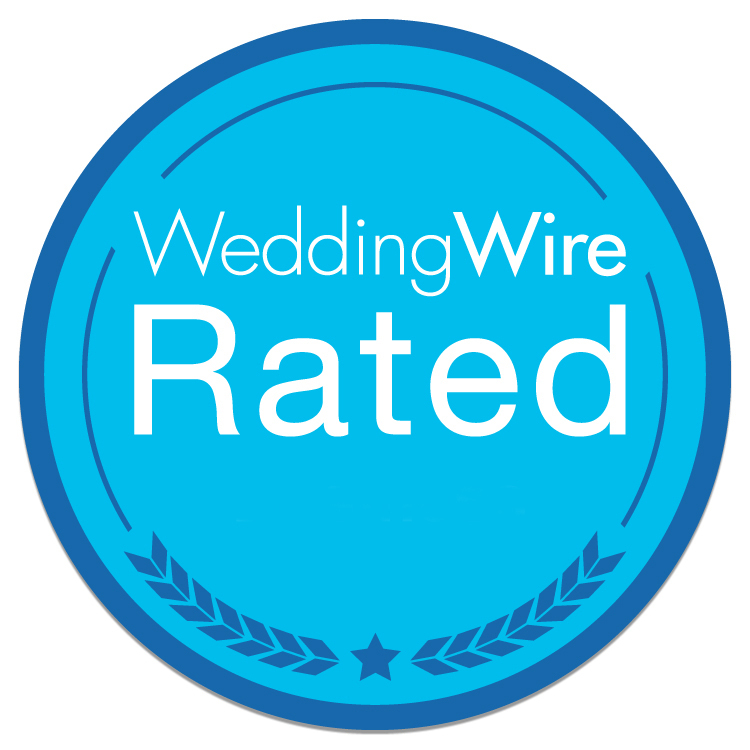 Thank you - I will definitely leave a few reviews on the links provided! 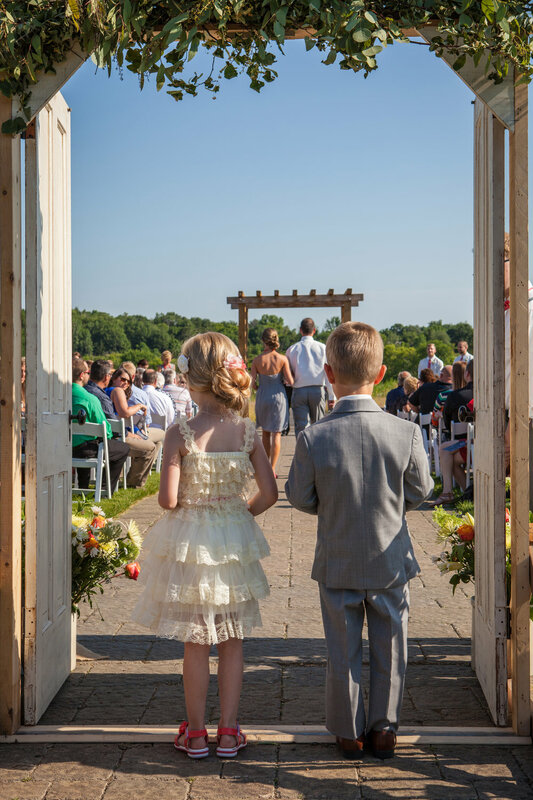 Enjoy the beautiful barn building and upper grounds for your special day beginning at 9am. We ask that on Fridays and Saturdays the celebration be wrapped up and guest departing by 11pm; tear down complete and vendors exiting by midnight. Sunday schedule is 9am-10pm with vendors having exited by 11pm. (If enjoying outdoor music, amplification needs to cease by 8pm). Beer and wine only, served by 1 of 3 preferred licensed vendors. 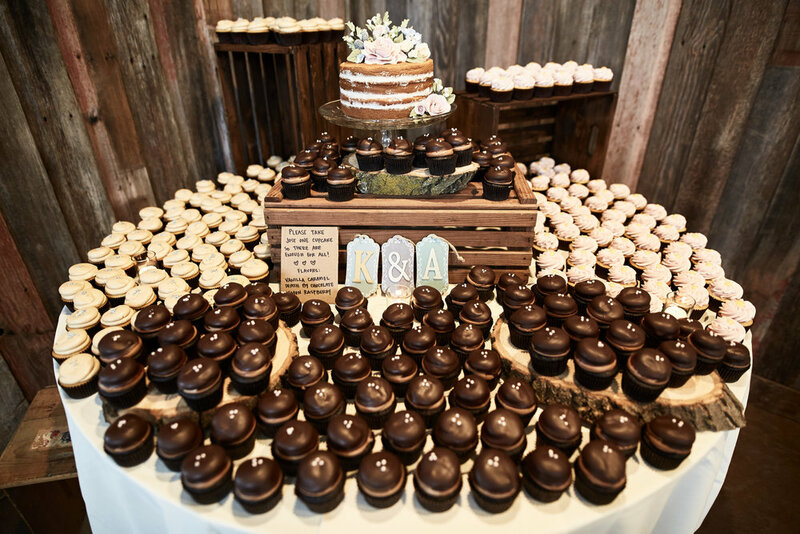 You can choose from our preferred vendor list or select your own licensed caterer (subject to our approval).